Kimberly Hiatt, a registered nurse who worked in a Seattle hospital, accidentally gave a sick baby ten times the amount of medication that was prescribed. Five days later, the baby died. The tragic accident prompted a state investigation. Apparently Hiatt was talking to someone while calculating the dosage she gave to the patient. Hiatt was put on administrative leave and later fired. Her error, made in 2010, is just one example of nursing malpractice. Unfortunately, mistakes made by medical professionals in the United States are all too common. According to a 2010 study by the Department of Health and Human Services’ Office of Inspector General, one in seven Medicare patients experiences serious harm because of medical errors and hospital infections each year. The study also found that 180,000 patients die each year. The American Nurses Association reported that another factor contributing to nursing errors is the aging nurse workforce. More than half of nurses are over age 45, and many are retiring, the association reported. As they retire, they take their years of experience with them. Like other medical professionals, nurses can be held accountable for their errors and acts of wrongdoing that result in patient harm. The numbers of nursing malpractice cases in Illinois and Chicago are growing at an alarming rate, and nursing malpractice is becoming a serious problem for today’s medical profession. According to a recent survey by the National Practitioner Database, over 15,000 nurses and nursing-related practitioners have been reported for malpractice. 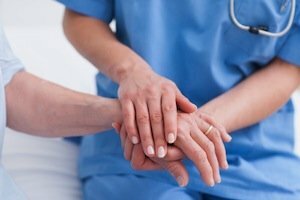 Nursing negligence is generally described as any negligence by a nursing professional that can result in serious emotional or physical damage to patients. Many of the assertions of nursing malpractice occur because of misdiagnosis, misapplication of doctor instructions, mistakes of applying prescription medicine and other hospital errors. Nursing malpractice can also occur during prenatal care, in labor and delivery of newborns, or during pediatric care. This type of nursing negligence would include any errors committed by nurse midwives. Nursing negligence lawsuits are a form of medical negligence, and like medical malpractice cases can be a long, involved process, necessitating the collection of extensive medical records and an in-depth review by medical experts. Nurses are generally employees of hospitals. Thus, when a nurse is held responsible for negligence injuring and causing the death of a patient, the hospital may also be held liable as would an employer whose employee is negligent. Cases of nursing malpractice may begin with chart review to determine what acts or omissions were made that deviated from the nursing standard of care. Standard of care is derived from policies and procedures required of nurses in that specific area of a hospital or from the guidelines set out in nursing manuals, textbooks and generally recognized methods of practice. In any medical malpractice case that involves a hospital, the hospital’s policies and procedures manuals are a must in discovery. Those documents are very important to know what nursing practices must be followed. Oftentimes nurses are only one of the contributing medical provider participants that are responsible for the injury or death of a hospital patient. Doctors, technicians, and other specialized nurse practitioners may also be culpable and ultimately liable for such acts of omission or commission that caused the injury or death. Nursing malpractice can occur almost anywhere in the hospital’s many departments. It could occur in the surgical suite, in the intensive care unit, during a routine radiology procedure or on the hospital’s floor unit where patients are recovering from surgery or from an illness. For example, there is a reported case at a renowned hospital where a resident chose the wrong side of the patient’s brain to mark for the surgeon. The doctor and the surgical nurse claimed that they were not trained on how to use a checklist that would have quickly alerted the surgeon and others that the wrong side of the brain was about to be exposed for surgery. Checklists are vitally important for nurses and doctors as a way to prevent horrific preventable nursing and physician mistakes from injuring or killing hospital patients. Robert Kreisman of Kreisman Law Offices has more than 40 years of experience in handling nursing negligence cases and medical malpractice in the Chicago are and around Illinois. If you or a loved one has been a victim of nursing negligence or malpractice, please feel free to contact our office at 312.346.0045 or 800.583.8002 for a free consultation, or fill out a contact form online.